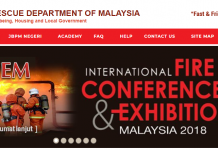 Pusat Kawalan Kusta Negara is a government hospital located in Sungai Buluh, Selangor…. Pusat Kawalan Kusta Negara provides medical services to all communities in the state and surrounding areas to ensure the health of the community is enhanced and the delivery of information is channeled more effectively. This is in line with its objective of this hospital as an excellent health care center. Pusat Kawalan Kusta Negara Sungai Buloh, 47000 Sungai Buloh, Selangor, Malaysia. This can be achieved by providing efficient, effective and effective treatment, rehabilitation, treatment and rehabilitation services with emphasis on underprivileged groups. The Sungai Buloh National Leprosy Control Center covers an area of ​​562 acres declared by the government in 1926 as a place of isolation of the leprosy colony. Under the 1926 Leprosy Enactment, leprosy patients are required to be exiled. It is estimated that more than 3,000 lepers from all over the country are housed in other isolated camps such as Setapak, Jerejak Island, Pangkor Island, Tumpat and Tampoi centered in the Gombak district of Sungai Buloh “Leprosarium” Valley of Hope). They are isolated here because at that time there has been no drug that can cure leprosy. “Leprosarium of Sungai Buloh” is officially opened by Dr. Gordon Alexander Ryrie, the first Medical Enforcer on August 16, 1930. The discovery of “Dapsone” medicine in 1940 enabled lepers in the Sungai Buloh Hope Valley to seek lifelong care. In 1969, the National Leprosy Program was launched where leprosy patients could seek treatment at any health center near their residence and should not be placed in Sungai Buloh anymore. Leprosy is no longer considered a public health problem. In 1983, the ‘Multiple Drug Therapy (MDT)’ treatment project pilot was held. For that success, in 1985, MDT began to be used in Malaysia. The MDT treatment only lasts for 1 to 3 years only, thus KUSTA CAN BE CONTINUED. In 1994, the country achieved WHO goals, the rate of incidence of new cases of leprosy less than (1: 100 000) population that was supposed to be targeted in 2000. In 1995, the National Leprosy Program was integrated into basic healthcare and medical services. In 1996, no new cases were received into this center. 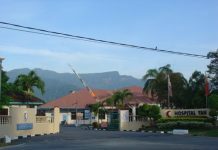 In 1971 to August 2006, the center also functioned as a district hospital for the residents of Gombak, Petaling and Kuala Selangor. In September 2006, the Sungai Buloh Hospital commenced operations and PKKN was absorbed under the management of Sungai Buloh Hospital. Today about 150 former lepers still live in this center either in the chalet or former leprosy patients aged over 50 years old and above. Quality care continues to the former leper who is under the supervision of this center. Enhanced quality patient care through efficient, effective diagnostic, treatment and recovery services. We at the National Leprosy Control Center, Sungai Buluh will provide our customers with an excellent service by ensuring that the Medical Services are responsive, courteous and with great care. Always maintain the good name of the department as well as abide by and implement its policies and regulations at all times. Providing quality, accurate and courteous service with care. Provides a positive work environment that improves career progression.